Last week Friday, I was surprised to see that UP made the second page of Express. The Express is a publication of the Washington Post and is given to all DC Metro passengers. Anyone familiar? I think this one was taken at Diliman. I'm not so sure as it wasn't specified on the description. Well, here are a few of my early Christmas presents. I just love Christmas =). Below is a set of marinade, chutney, and other butter/jam for breakfast, which came with a cute cheese board. I can't wait to use the marinade. 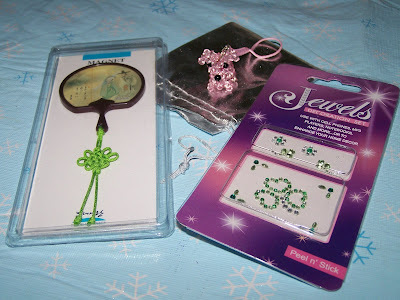 Recently, I've been receiving some mail love - "Love in the Moonlight" fridge magnet (S. Korea), pink dog cellphone charm (Singapore), and Jewels decoration set (Ireland). Thank you so much. I hope everyone is enjoying the season. I'll be in Hawaii for the next two weeks, and I'll probably not update this blog for that duration. Have a wonderful Christmas and a Happy New Year! Hahaha! The oblation run made it to US paper! And how come their faces are exposed? Happy Christmas Kayni! All the best for 2009 as well. hahaha! 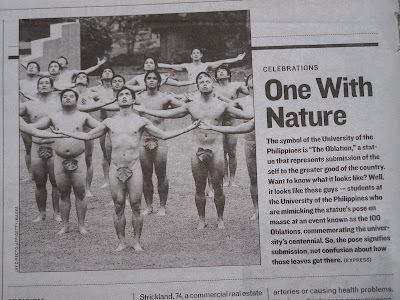 anlakas ng loob nila (the oblation guys)! I'll catch up on bloghopping after the holidays. I miss reading your entries. Enjoy your vacation, too. I'll 'see' a happier Kayni next year. Merry Christmas! kayni, thank you sooo much for the friendship and please know how much i appreciate your thoughtfulness, from leaving comments in my blog, to sending mails, to sending me those cute teabag labels. you are a wonderful person and how much you have touched my life. i pray that 2009 will bring much joy and peace and love and happiness to your heart, and may your dreams come true and may we will always be friends. Kayni, I got the card, thank you very much. Happy 2009!